This probably isn't a surprising revelation, given that this review is now our 575th in our semi-long, somewhat illustrious history, but there are some reviews that I've written that upon further review I wish I could take back. A good recent example? My write-up re: cashew butter a couple months back. I seemed somewhat ambivalent about it at the time, but in the days or weeks that followed, I fell deeper and deeper in love. I'd eat a jar a week, easy, mostly by spreading on apple slices then dipping the knife back in a for extra licks. No one else was eating it, I don't think, so I didn't feel bad. Sure, the first go-around or two from each jar was drippy no matter what (which I dislike strongly) but after that, and a couple days in the fridge, it solidified perfectly. Lots of flavor. Given another chance, I'd be tempted to pantheon that. Too lazy though. Also, now too knowledgeable: Not paleo. It has sunflower oil, and the added salt is kinda frowned upon. Doh! I'm still defining how strict I want to be about those kinda things, but I guess if there's an alternative out there that might match those restraints closer, give them a try. Thus, Trader Joe's Creamy Almond Butter making an appearance in my fridge over the past couple weeks. Ingredients are pretty straightforward here: Just almonds and a small smidge of cashews for whatever reason (less than 1%). No added oil. No added salt. Just nuts, glorious, glorious nuts. And compared to the cashew butter, it ain't even close. Doh! First off, no matter how close I get to the bottom of the jar, how much I stir, how long it chills in the fridge - this stuff is a drippy, runny mess. It's ridiculous. Try spreading some on an apple slice without dripping a drop - I bet you can't. I've tried multiple times and cannot. Persistently drippy nut butter annoys me to no end. Who knew almonds were so much more naturally oily than cashews? I sure didn't. And the taste...well, that implies there is one. Sure, I can taste it if I eat some from a spoon straight, or as it magically transforms surface chemistry as it sticks to the roof off my mouth for ten minutes afterwards. But it just tastes like boring, plain, ordinary, non-jazzy almonds. Almonds are like the cornflower blue tie of the nut world - nothing wrong with them, they're reliable and a classic, but nothing stands out, either. Cashews though...my goodness, aren't they good? Even thinking about walnuts and pecans and hazelnuts accelerate my hungerometer, but almonds? Nope. And any almond taste gets easily overpowered by whatever's being eaten along with it - more than anything else, this butter makes my apples taste like they have funky residue on them. I've heard the almond butter is one of the most popular TJ's products in terms of annual sales, so maybe I'm completely missing the boat here. Maybe this is a taste I will grow into and enjoy more as my tastebuds reprogram and refine themselves. Don't know though. Maybe me here, lonely on the dock, oar in hand, lifejacket on, will one day figure that out. Have fun without me 'til then. I haven't tried TJ's almond butter, but my favorite ABs of the many brands I have tried are Almond Naturally More and Justin's Maple Almond Butter. So good! I agree! I've tried so many brands and I'm sticking with Justin Maple Almond Butter point, blank, period! It's been my experience that almond butter from a jar is nothing more than nasty glop. Don't give up yet! Swing by a Whole Foods Market and grind your own FRESH almond butter and you'll be a believer! A globule of this fresh nectar of the woods atop a Hershey's Kiss would be my welcome choice for last meal. Came upon this blog as I was looking up some TJ stuff. And happen to see this post from 2014! First I need to say I love this blog from what I have read! Putting down so many things I need to buy next time I go to TJ. 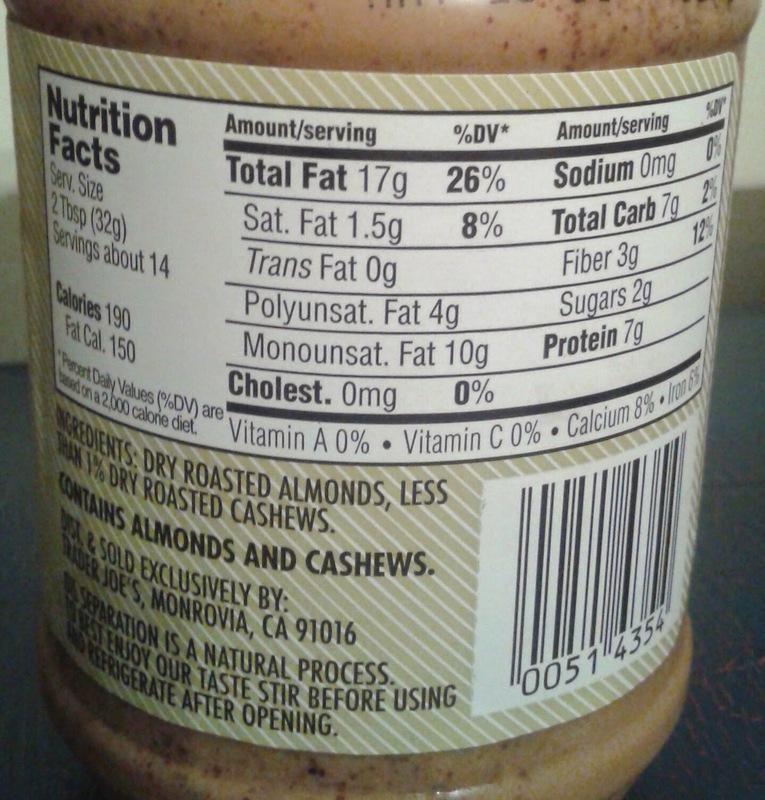 I am one who happens to love runny nut butter, so raw almond butter has always been my favorite. Sure they are a messy when eaten on toast, but they are awesome as an oatmeal or yogurt topping! Their runniness ensures you that they are evenly distributed- no chunks of nut butter in one bite of oatmeal but nothing on the other! 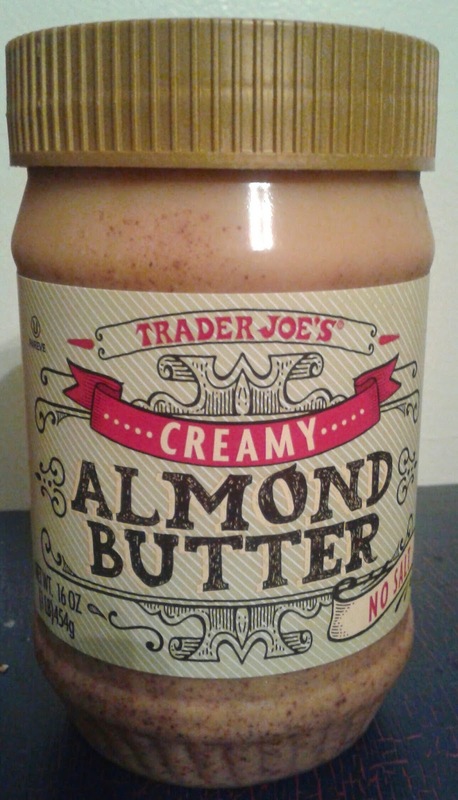 I am obsessed with TJ's creamy almond butter...not too runny for my taste and the flavor is off the charts. Have to disagree with this review. I live for this stuff!